Derek Walmsley, the reviews editor for the Wire magazine, asked me in November to submit a review for the new year. 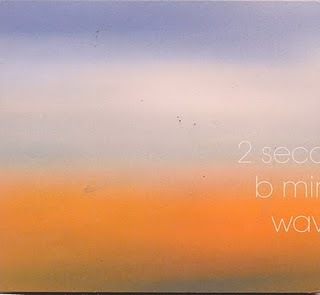 My review of Michael Pisaro/Taku Sugimoto ~ 2 seconds/ b minor/ waves (Erstwhile) will appear in the February issue. Around the first of March I will publish a longer version of the review here. Now in its 29th year, the Wire has been a resource to me for many of those years. Like any such resource, I have found the publication to be alternately infuriating and edifying; that perspective, like the magazine, is protean, fickle and subject to current interests, tastes and priorities. I am pleased to have my thoughts about this release reach a few more readers than perhaps have visited crow, and thank Derek for the risibility and respect he maintained, even while I jabbed at the magazine’s shortcomings, as I see them, and argued for the length of my writing. This entry was posted in music writing on January 10, 2011 by jessewgoin. That's great news, Jesse. I look forward to seeing your review. Personally, I think you are superb writer and I'd like to see you do longer think pieces that your reviews often become. There's a lot of texture and history in your work, and you should really flesh out in lengthier essays your thoughts about this music as well as the free improv/free jazz from your prior listening history. It would be well worth reading and publishing.